A new tile set for Pretty Good MahJongg is now available. The Christmas Tile Set is a MahJongg tile matching set with Christmas images on the tiles. As a bonus for those who have not yet tried Pretty Good MahJongg, here is a special Christmas coupon code for 20% Pretty Good MahJongg between now and December 25, 2005. Just go to http://www.goodmj.com/orderonline.html and buy Pretty Good MahJongg and enter the coupon code GDMJ-PYRJ-XMAS in the coupon code box at the last step of the order process to get a 20% discount. Offer is good until December 25th and you must enter the code to get the discount. 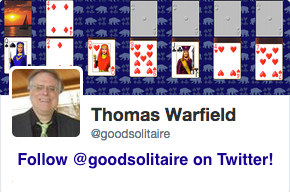 There is still time to purchase the Pretty Good Solitaire Gift CD. 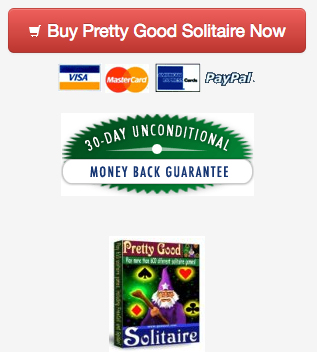 The Pretty Good Solitaire Gift CD is a gift wrapped CD especially for holiday gifts. Order at http://www.goodsol.com/holiday.html for $31.95 (price includes shipping). Multiple copy discounts are available. This game is at Kings in the Corners.